Gardner Campbell is an intellectual omnivore, a former radio announcer, a professor (Milton and Renaissance studies, film studies, new media studies), and a bassist. He is currently Associate Professor of English and Special Assistant to the Provost at Virginia Commonwealth University in Richmond, Virginia, where for nearly three years he also served as Vice Provost for Learning Innovation and Student Success and Dean of the University College. Gardner has worked in teaching and learning technologies for over twenty-five years, nearly fifteen of those (to his great surprise) as an administrator. He’s been a member of numerous advisory boards as well as the governing board of the New Media Consortium, serving as chair in 2011 and elected to a second term in 2016. 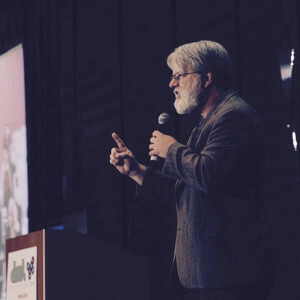 He also speaks frequently at conferences and workshops, both nationally and internationally (Sweden, Canada, Italy, Australia): here are his three most-watched YouTube videos and here is his Ignite talk from DML 2015. You can read his blog, “Gardner Writes,” at www.gardnercampbell.net . You can find him on Twitter @gardnercampbell. Gardner led the VCU team that won a Campus Technology 2016 Innovators Award for The Great VCU Bike Race Book.